Where can I view details for payments and fees? Select the statement month and click [View], which will give you a summary of your sales for the previous month. For example, the 'Statement Summary: February' gives details for January. 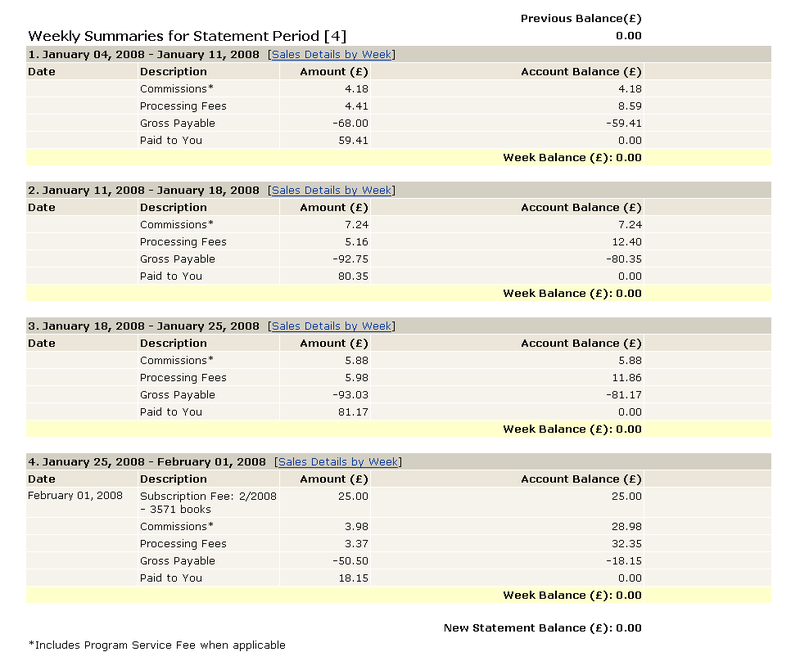 Here you can see the totals for the month for all your fees and the total amount that was paid to you for the month. By clicking [Weekly Summaries for Statement Period] you can see a weekly break down for the month. You will notice that all 'Paid to You' amounts in the weekly summaries equal the total amount that is given on the Statement Summary.